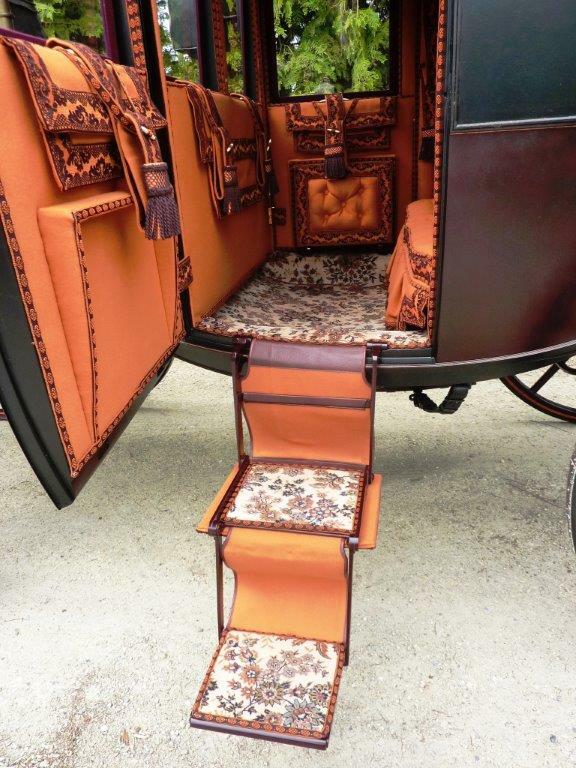 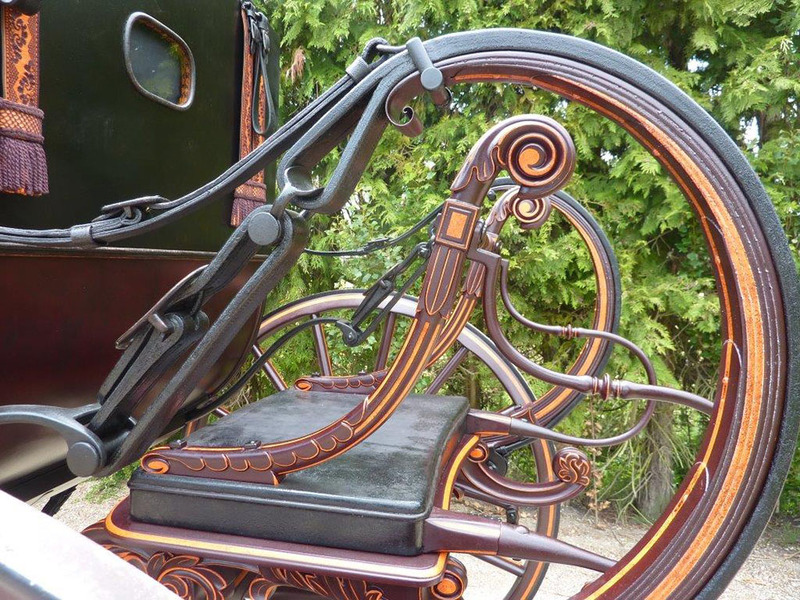 One of the CAA’s members in Belgium wrote to tell us about a carriage restoration that his company finished recently. 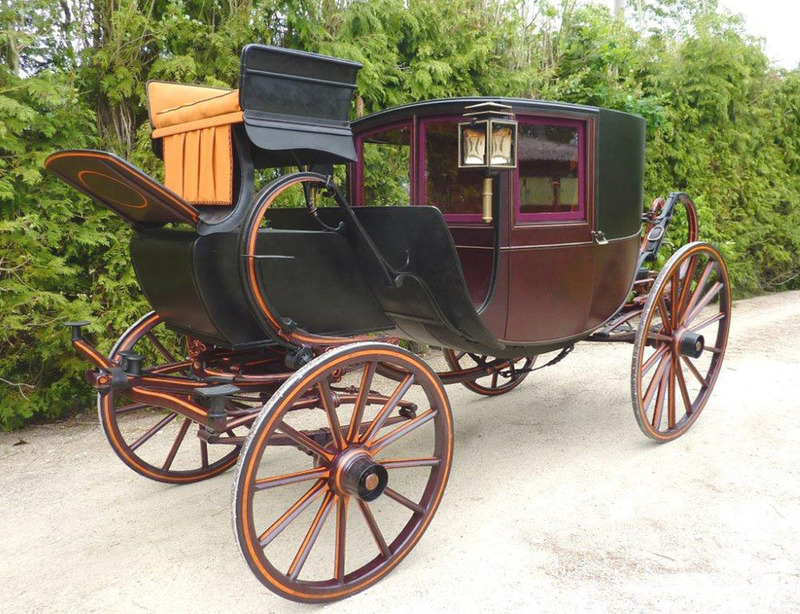 He said, “After eighteen months of continuous hard work we can finally add another beautiful vehicle to our long list of restorations: a Traveling Chariot by Laurie & Marner. 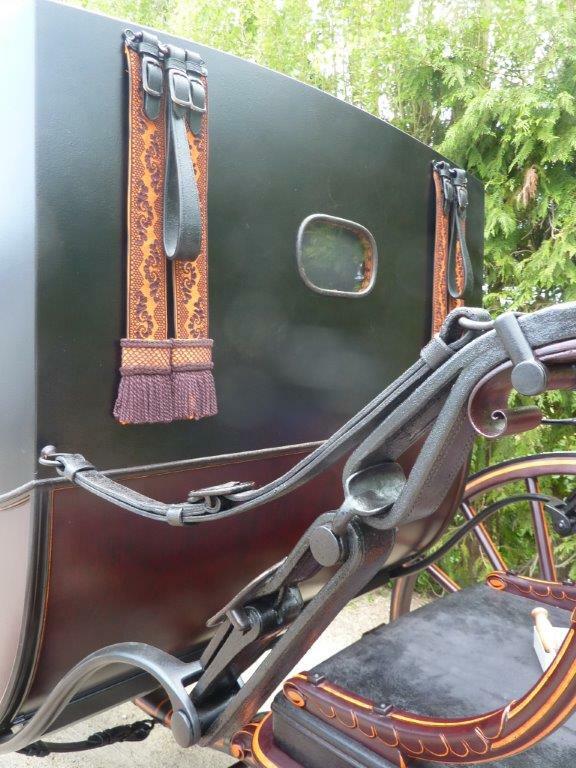 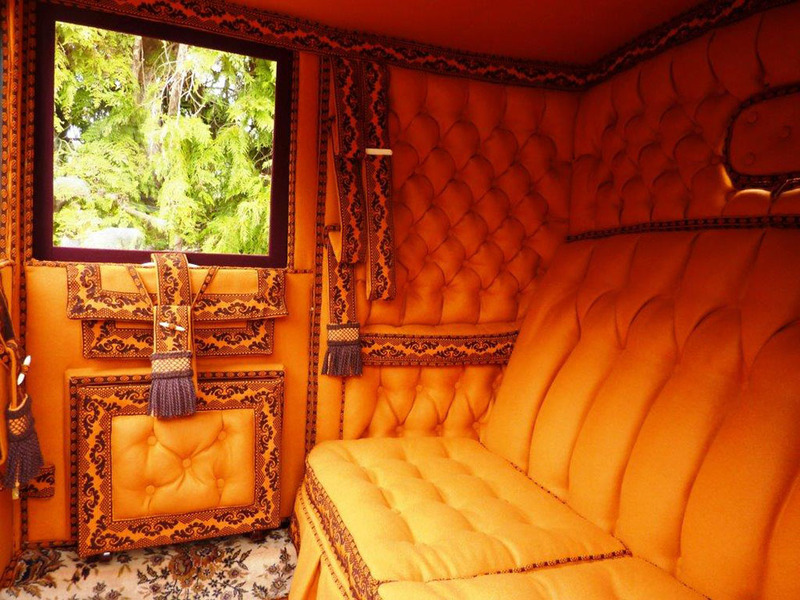 “This carriage was in rather sound condition when purchased but needed full restoration. 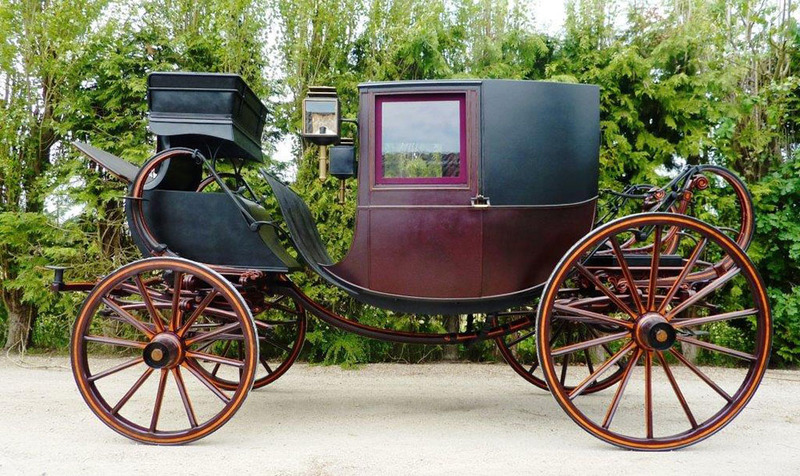 It is fitted with a footman’s platform for town use. 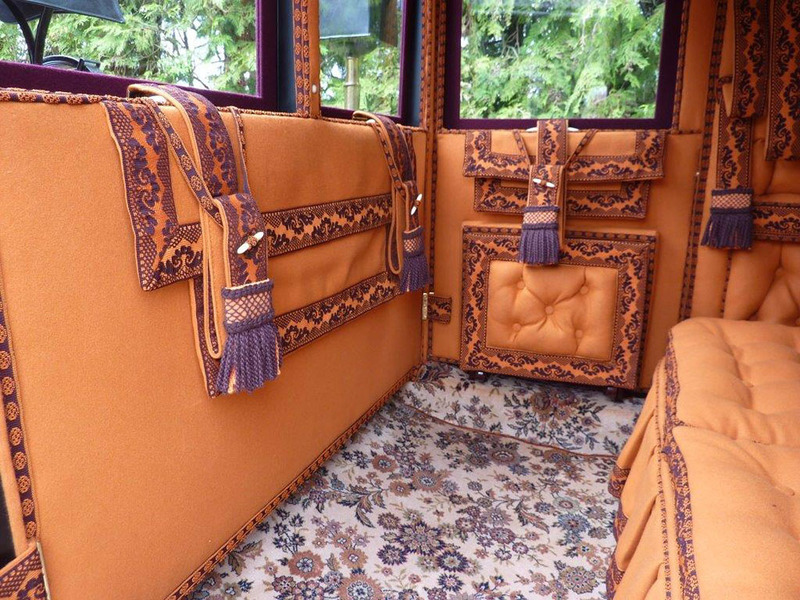 The large mud screen in front of the body and the exclusive day and night lamps illustrate its use as a traveling vehicle, in which case it would have been fitted with a seat for the servants. 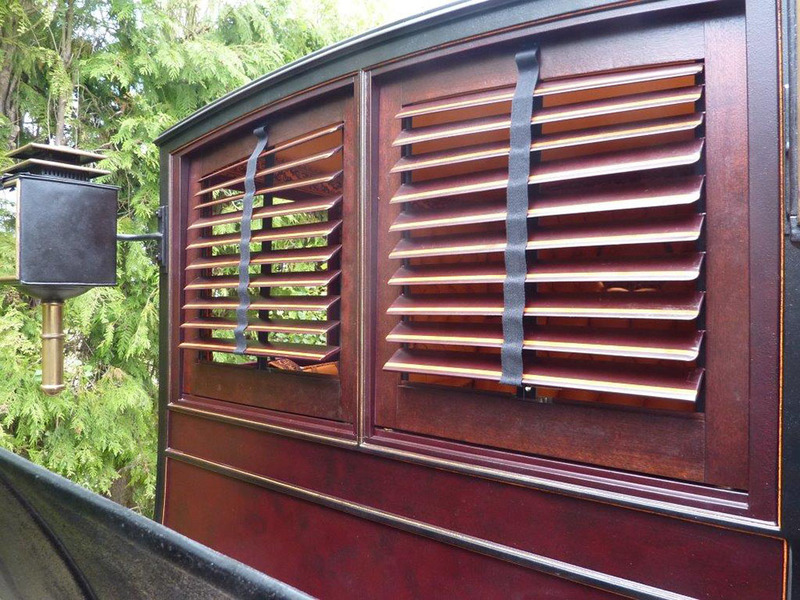 “We gave it a ‘patina’ finish, and it looks now as if it was stored under the best possible conditions and left untouched for the last 120 years. 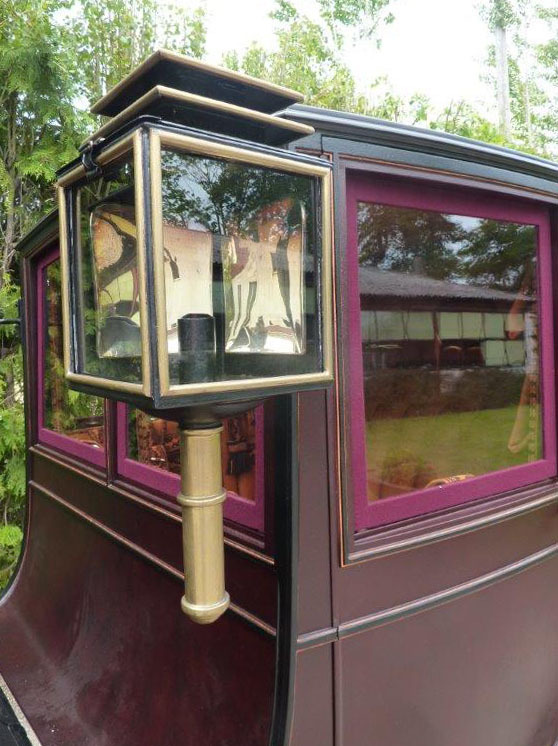 “It has been painted a deep burgundy red with orange striping beautifully underlining the delicate wood carvings on the undercarriage. 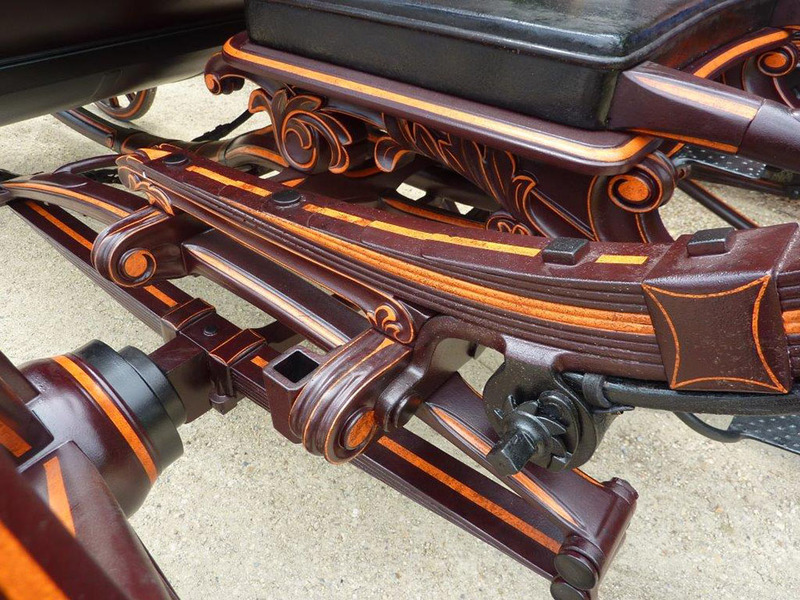 Your talent and craftsmanship really shows in your finished project. 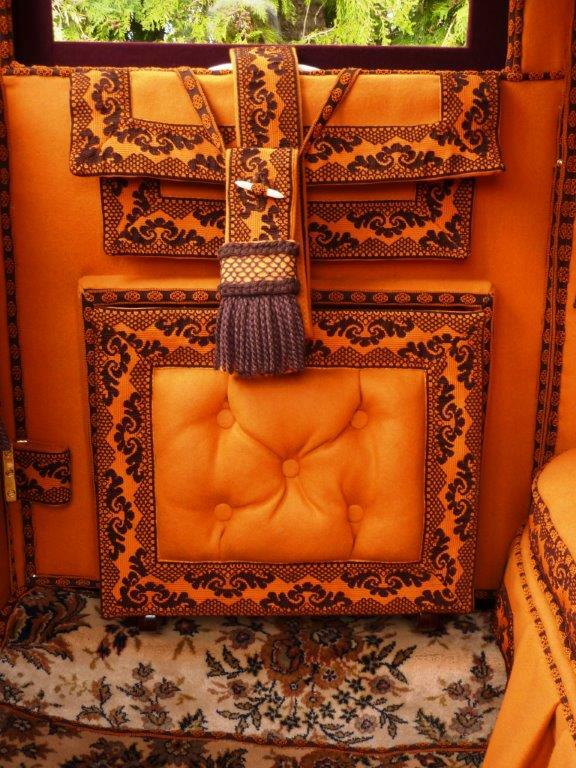 I would like to knoiw more.